Our “Feet specialist”, Manami, will start Delux pedicure from May! We offer special prices for the first 10 customers!! Removing hard skins with special tools after soaking feet in foot bath. Feet will be smooth and soft like baby’s feet!! Quick pedicure for those on busy schedule. Medical Pedicure with polish paint. 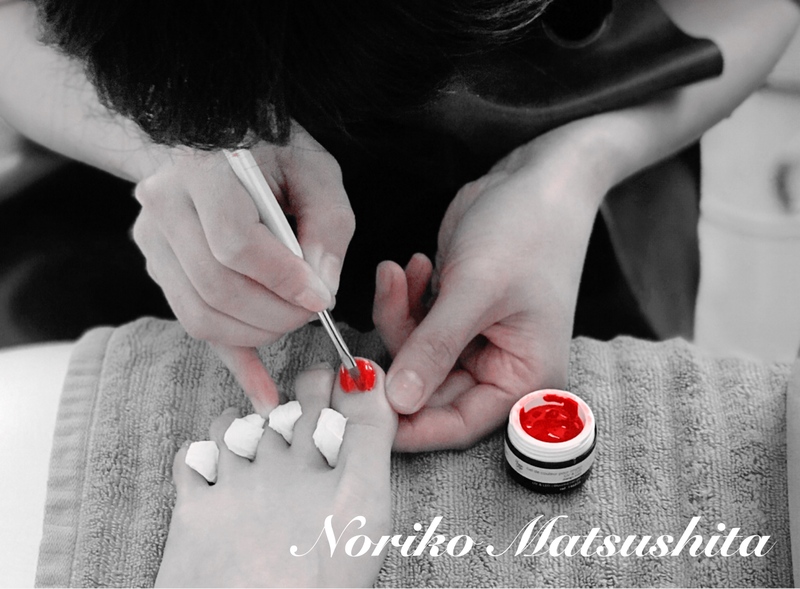 ※You can take back the polish used on your toe nails!! We offer 【special prices】 on following services!! →All services mentioned above are performed in Relaxation Lounge, 2F. →Gel color choices are in attached photo. Please check polish color on the booking day. →Stone art（1€～） is also available. →If you have any condition in feet or toe nails, please let us know when booking. →There is additional charge for soaking off Gel（10€）、Polish（5€）. A medical pedicure is a noninvasive treatment that focuses on the hygienic and aesthetic care of the toes, toenails and soles of the feet. After a full assessment of your feet and nails, a highly skilled foot care specialist performs a wet procedure that combines podiatry with nail care. A deep examination and a professional treatment for disorders affecting the feet and toenails using advanced equipment and tools, under the strictest hygiene protocols. Care with brace system for Ingrown Nail Correction. Removal of pubic hair using 100% natural and safe wax. The price will be 【20%OFF】 if you get sugar waxing for more than 2 parts!! Removal of body hair using 100% natural and safe wax.